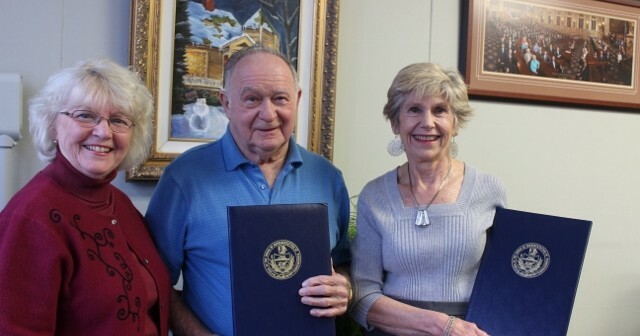 To help Jim (center) and Shirley McGee (right) of Towanda celebrate their 60th wedding anniversary, Rep. Tina Pickett (left) presented the couple with a citation from the Pennsylvania House of Representatives to mark the special milestone. 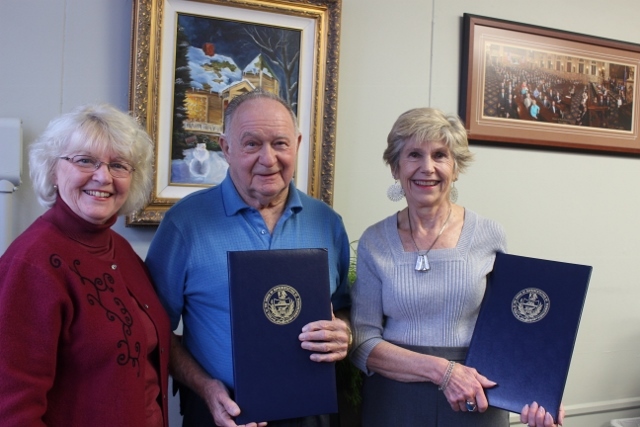 A surprise party of family and friends was held at the Towanda American Legion in January to honor the couple and to mark Jim’s 80th birthday. The McGees have four children, Elaine McGee Elliott, Steve McGee, Karen McGee, and the late Jack McGee; four grandchildren, Brian, Nichole, Crystal and Eric; and two great-grandchildren, Hailey and Greyson. Jim works part-time at Enterprise, and Shirley teaches yoga at Pro-Care Fitness.